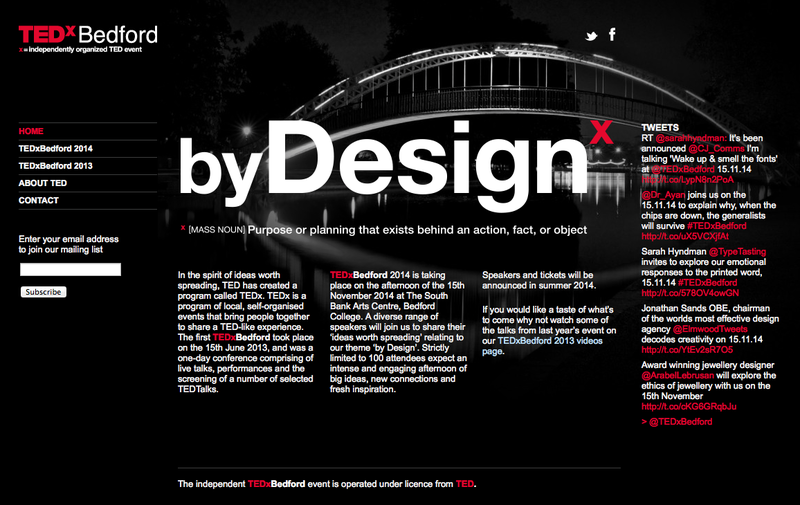 Home / Worth writing about… / All / Sarah Corbett speaking at TEDxBEDFORD 2014 – it’s already sold out! Sarah Corbett speaking at TEDxBEDFORD 2014 – it’s already sold out! Speakers have now been announced and can be seen here . They will include of clever thinking behind objects, behaviours, businesses and services, be inspired by the higher ideals of beauty, nature and goodness, and be challenged about the way our lives impact on the planet and its people. Together we will explore how business can be beautiful, how craft can be powerful, how services can be transformed by harnessing the power of people and much, much more. Sarah will be talking about her craftivism methodology and the importance of design when it comes to creating effective craftivism that engages people and groups and provoke us all to be part of the change we wish to see in the world not the problem. This will be a unique talk Sarah hasn’t delivered before. If you cannot attend this event but want to find out more about the Craftivist Collective’s methodology, our book A Little Book of Craftivism is a great starting point. Buy here.